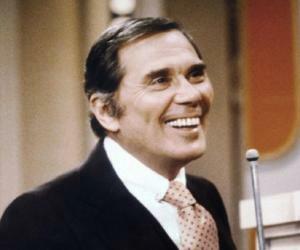 Gene Rayburn was an American radio and TV host known for hosting ‘Match Game’. Check out this biography to know about his childhood, family life, achievements and fun facts about him. 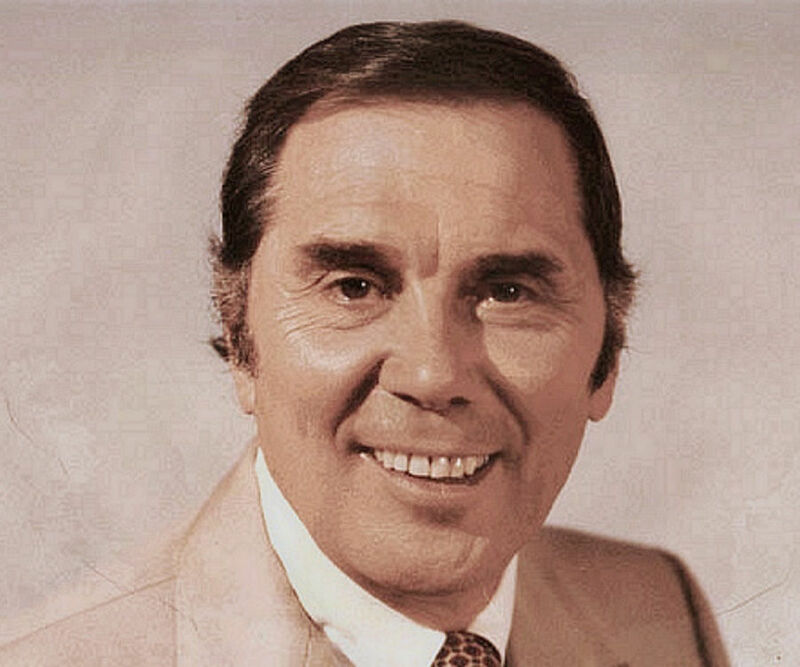 Gene Rayburn was an American radio and television personality who amused TV audiences for over two decades as the host of the popular American television game show ‘Match Game’. He started out as a promising actor, who, according to critics, got sidetracked at the beginning of his acting career, and hence, chose to become a disc jockey. He was also a popular radio show host and co-hosted ‘Anything Goes’, the morning drive time radio show, with Dee Finch. His success as a disc jockey gave him the opportunity to sign a contract with NBC, which made Rayburn the first announcer on ‘The Tonight Show.’ He continued with the show for six years, delivering comic weather reports and acting in sketches with comedians like Louis Nye and Buddy Hackett. 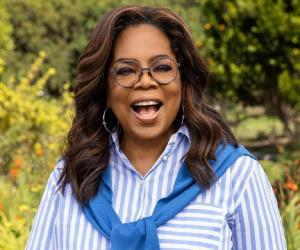 A game show specialist, he also hosted ABC's ‘The Name's the Same,’ and NBC's ‘Make the Connection,’ ‘Dough-Re-Mi’ and ‘Play Your Hunch.’ He also acted in theaters, and some of his popular roles were in ‘Bye Bye Birdie’ and ‘La Cage Aux Folles’. On television, he acted in live dramas like ‘Kraft Theatre’ and ‘Robert Montgomery Presents.’ A recipient of the lifetime achievement award from the National Academy of Television Arts and Sciences, he had been nominated for several Daytime Emmy awards. Born as Eugene Jelyevich on December 22, 1917, in Christopher, Illinois, he was the only child of his parents, who were from Croatia. His father died when he was an infant. Later on, his mother moved to Chicago, where she married Milan Rubessa. After her marriage, Rayburn was given his stepfather’s name, and was called Eugene Rubessa. Years later, he chose his stage name ‘Rayburn’ by randomly searching the phone book. Rayburn graduated from Lindblom Technical High School, where he was the senior class president. He acted in school plays like ‘Robert of Sicily’ and ‘Mrs. Wiggs of the Cabbage Patch’, and hoped to follow an acting career. Later he attended Knox College. During the World War II, he was called for military service, and he joined the US Air Corps. In the 1930s, Gene Rayburn moved to New York City and joined the National Broadcasting Company (NBC) as a page. Later he served as an usher for the NBC symphony orchestra. He was also a well-known radio performer, and hosted popular morning drive time radio shows in New York City. He hosted ‘Anything Goes’ with Jack Lescoulie, and ‘Rayburn & Finch’ with Dee Finch on WNEW radio station, now called WBBR. Rayburn’s pairings with Lescoulie and Finch became very famous, and the format was still followed when Rayburn left WNEW, and Dee Finch continued with Gene Klavan. His breakthrough came in 1953, when he joined as an announcer on the television talk show ‘Tonight’ with Steve Allen. Rayburn was associated with ‘Tonight’ for the next three years and he became a household name. With ‘Tonight’, he began a long association with game show producers Mark Goodson and Bill Todman. Next, he appeared on Robert Q. Lewis's show ‘The Name's the Same’, an American game show produced by Goodson-Todman for the ABC television network. In 1955, he replaced the original host Jim McKay on the NBC game show ‘Make the Connection’. Later, he hosted popular shows like ‘Choose Up Sides’, ‘Dough Re Mi’, and the daytime version of the show ‘Tic Tac Dough’. In 1959, he was featured as a TV interviewer in the film ‘It Happened to Jane’. However, he did not take any credit for his role. In 1961, he became the host of the NBC radio program ‘Monitor’, and was associated with the show till 1973. Throughout the 1960s and 1970s, he appeared on CBC’s ‘What's My Line?’ and ‘To Tell the Truth’ as a panelist, and his interviewing skills were appreciated. In 1962, he started hosting ‘Match Game’, a panel live game show on NBC, which he continued till 1969. His unique mannerism, the different voices he used, and the comic sketches he played made him a household name. In 1972, he hosted ‘The Amateur's Guide to Love’, a show by Heatter-Quigley Productions, which was a short-lived one. In 1973, ‘Match Game’ was revived by Goodson-Todman for CBS in California. Rayburn was invited to host the show, and he introduced a new format, which included celebrities. Soon it became the number one game show on daytime television, and continued to be so till 1977. For three years, it was the highest rated show amongst all daytime shows. Along with his wife and Peter Emmons, he co-hosted the Drum Corps International finals of the DCI Championship for two years, which were telecast nationwide on PBS in 1976 and 1977. In 1983, ‘Match Game’was revived once again after it was concluded in 1982, now as a part of the ‘Match Game–Hollywood Squares Hour’. Rayburn once again hosted the ‘Match Game’ segment, and also sat on the panel of the Hollywood Squares segment. 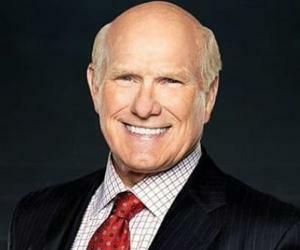 However, this time the show lasted for just nine months on NBC.During his stint with the US Air Force, he was trained in meteorology, which he occasionally demonstrated on the ‘Match Game’ show. In 1983, he also hosted a pilot for Reg Grundy Productions called ‘Party Line’, which later became ‘Bruce Forsyth's Hot Streak’ on ABC. In 1985, he hosted the game show ‘Break the Bank’, but Joe Farago replaced him after 13 weeks. 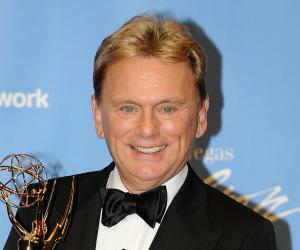 His last stint as a game show host was on ‘The Movie Masters’ on AMC cable TV, which ran from 1989 to 1990. 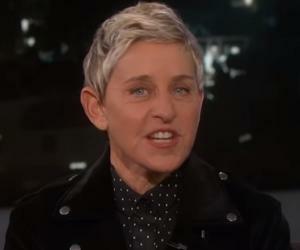 He portrayed himself on ‘Saturday Night Live,’ a late night live television variety show, in 1990. He also appeared on several other talk shows throughout the late 1980s and 1990s, including ‘Vicki!’, ‘The Maury Povich Show’, and ‘The Late Show with Ross Shafer.’ He appeared on Howard Stern's late-night TV variety show as one of the stars of his Hollywood Squares parody, ‘Homeless Howiewood Squares’. His last TV appearance was in 1998, when he appeared in an interview with Access Hollywood, a program to coincide with the 25th anniversary of the CBS game show ‘Match Game’. Some portions of his interview were rebroadcast on the Game Show Network in 2001. Gene Rayburn was nominated for five Daytime Emmy Awards for Outstanding Host/Hostess in a Game or Audience Participation Show. Despite his poor health, he appeared in person to accept the Lifetime Achievement Award from the Academy of Television Arts & Sciences in 1999. Gene Rayburn married Helen Ticknor in 1940, and was married to her till her death in October 1996. Their only daughter Lynne was born in 1942. He died on November 29, 1999 due to congestive heart failure, while he was at his daughter's home in Gloucester, Massachusetts. He was cremated, and his ashes were spread in the garden of his daughter's home. The book ‘The Matchless Gene Rayburn’by Adam Nedeff highlighted many aspects of Rayburn's life, starting from before his classic shows. It also drew attention to his life away from the cameras, including his relationships with Match Game panelist Richard Dawson and game show kingpin Mark Goodson, as well as his struggles in finding a job after ‘Match Game’ was finally concluded.